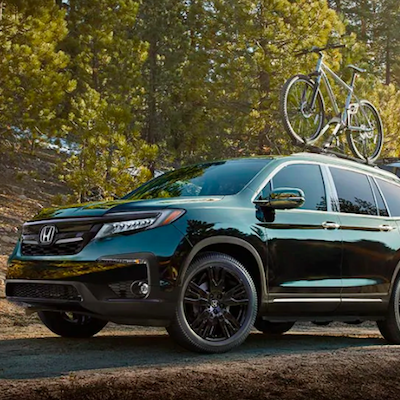 The Honda Pilot offers everything your family needs for a superb ride in Waynesboro, VA. Who says you can't have it all? There's a wealth of fantastic style, comfort, convenience, and technology awaiting you inside of the new Honda Pilot. Harrisonburg Honda invites our neighbors in Waynesboro to come in and see what we’re talking about. The smooth and easy ride of the Honda Pilot makes it a long-time favorite for just about everyone, and for good reason, too. This popular midsize SUV makes traveling easier with its spacious interior and robust infotainment system. The third row of seating adds extra room and cargo flexibility, giving you the option of flattening one or both rows. There are some nice touches all over the inside of your new Honda Pilot. The bin beneath the floor behind the third seat is designed with grocery bags in mind. Once they’re settled in here, they’ll stay upright throughout the ride. Stop in and take a ride to explore the new Pilot in person. Schedule your test drive today! The makers of the Honda Pilot know that less noise on the ride makes it less stressful for everyone. That’s why they offer CabinTalk™, your very own in-car PA system. It’s quite a stretch from the driver’s seat to the back row of an SUV. CabinTalk™ allows mom or dad to effortlessly talk to their progeny through their Blu-ray player headphones. 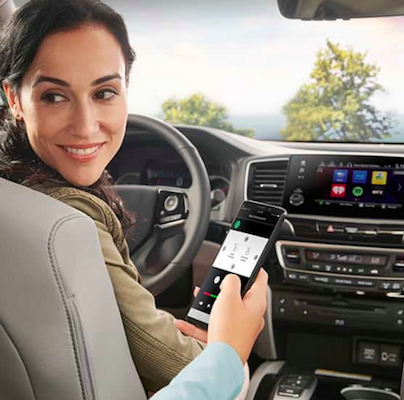 Take a few minutes to explore the many standard features, and see just how your new Honda Pilot can make life easier for you and your family! 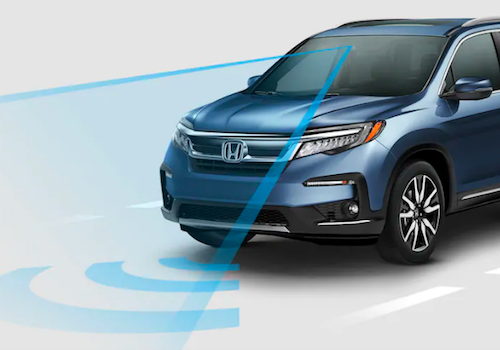 The Honda Sensing suite of advanced safety features includes a Collision Mitigation Braking System, a Road Departure Mitigation System, Adaptive Cruise Control, and a Lane Keeping Assist System. These high-tech systems are always looking out for you and yours. After all, you don't really have eyes in the bak of your head. 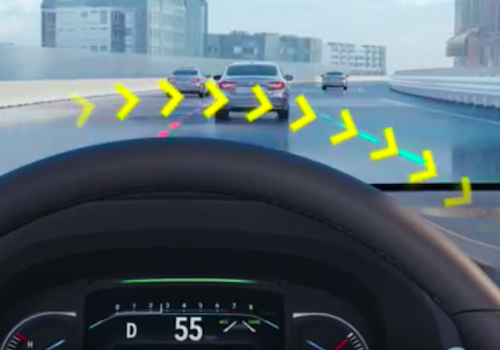 A favorite component of many Pilot lovers is the Lane Keeping Assist System. If your directional signal is not turned on, this system will alert you when you drift out of a lane. This can be especially handy on those long highway trips, when it's sometimes difficult to maintain a strict focus as you experience fatigue. Vehicles are our life in this part of the state. At Harrisonburg Honda, we know how important your vehicle is to you. You need wheels for work and play and for everything in between. That’s why we know you’ll love the Honda Pilot and we make it easy for you to finance one. We get frequent visits from our neighbors in Waynesboro, who appreciate our selection and expertise. The Honda Pilot has been the right SUV for so many families in and around Waynesboro, VA.. Bring the kids and their friends and try out the CabinTalk™ and enjoy this smooth and powerful ride. 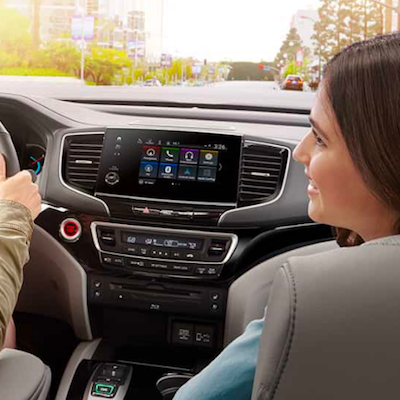 At Harrisonburg Honda, we know our commitment to you doesn’t end once you drive off the lot, and that’s why our loyal customers come back for our advice, service, and maintenance. We'll put our best effort into making sure you get the very best for your time and money. Get ready to enjoy every mile in your new Honda Pilot.